Southampton will remain at the forefront of ground breaking cancer research through new funding from Cancer Research UK. The charity will invest up to £4million over three years to help get new treatments and diagnostics to cancer patients sooner. 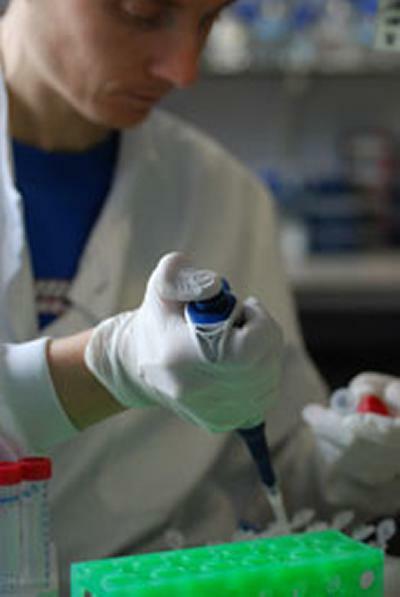 For more than a decade, the Southampton Cancer Research UK Centre , which brings together scientists, clinicians, nurses and students from the University of Southampton and Southampton General Hospital, has been known for the advances made in tumour immunology and immunotherapy, with a reputation for its ‘bench to bedside’ results. More and more evidence is showing that the immune system has enormous potential to fight cancer and extend peoples’ lives. Large clinical trials have shown that for some people, mobilising the immune system against cancers can control the disease for many years: the challenge for research now is to find out how this can be made to work for more types of cancer and more people. The new treatments come in the form of vaccines and antibodies designed to target special immune cells against cancers. “For many years researchers in Southampton have led the way in this fight,” said Professor Martin Glennie, Head of Cancer Sciences and Professor of Immunochemistry at the University of Southampton. “We were one of the first units to isolate antibodies and develop vaccines that trigger immunity against cancers of the prostate, colon and against leukaemia. The Southampton Cancer Research Centre has a long standing track record of pioneering cancer research, particularly in oesophageal, colorectal and head and neck cancers, as well as the expanding and exciting area of cancer immunology. The £4m investment is part of wider funding from Cancer Research UK to its research centres across Britain.